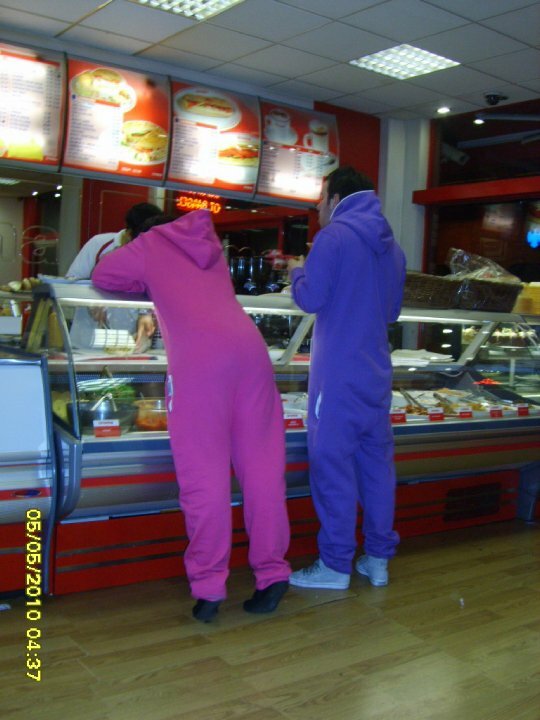 Here’s some OnePiece wearing mates out in their local fast food establishment, getting some attention from the locals! TheOnePieceBlog loves to see people wearing their OnePieces out and about, doing everyday things. If you go out in your OnePiece, send us a picture! A trip to the supermarket, catching a bus, a walk in the park – whatever it is – capture the moment with a camera and send it to TheOnePieceBlog. Previous postHere come the stripes!